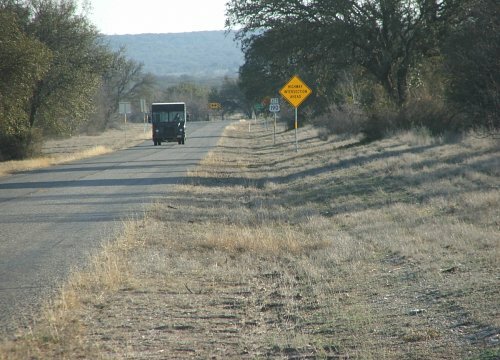 210 acres located 20 miles W of Menard, Texas and 6 miles N of Ft McKavett, Texas. 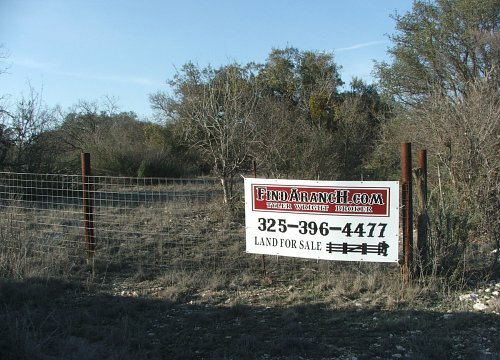 Located off of FM 2873 and Hwy 190 West. This property has a nice little hill on the East side that allows you to see the majority of the property from the hilltop. Nice cover of live oak with a mixture of mesquite and algerita brush. Water well with submersible pump in place and electric on the property. A portion of the property was burned several years ago(approx 1/3 of property was burned and has since recoverd). Some minerals to convey with sale. 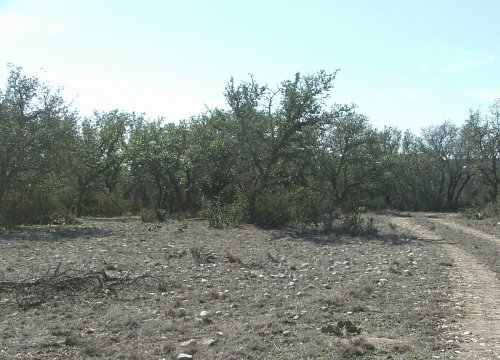 210 acres with Live Oak and mesquite. Nice hilltop on the Eastern portion of the property. Gently rolling with a small draw running from West to Southeast. Small campsite is established with electricity and water at site. 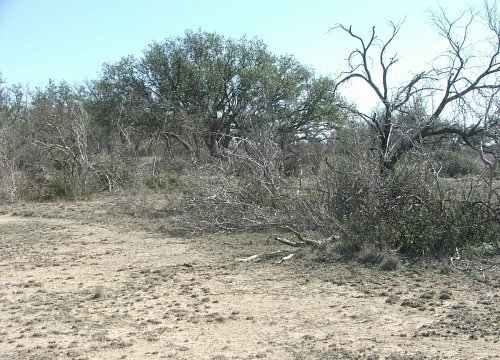 Good hunting property, with whitetail deer, rio grande turkey, dove, and some wild hogs. One water well with submersible pump.